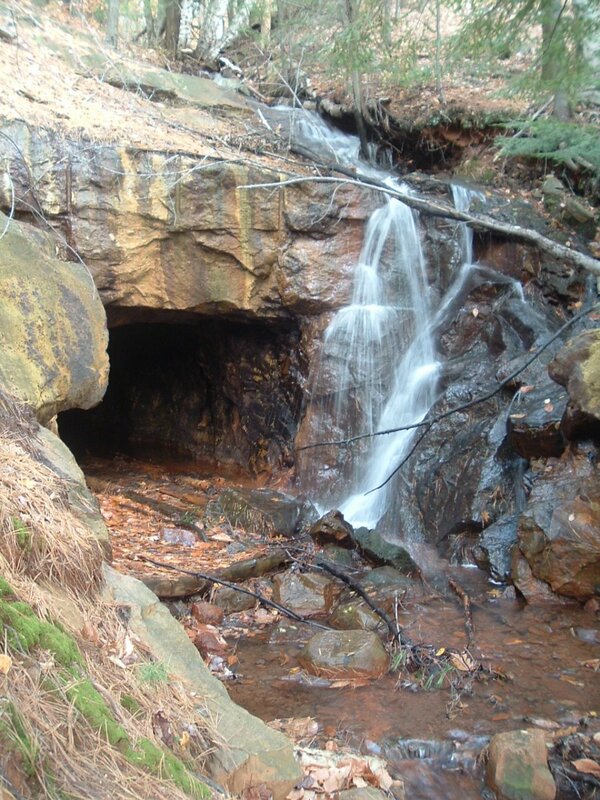 While wandering around the Adirondacks I am always struck by the shear volume of rock. 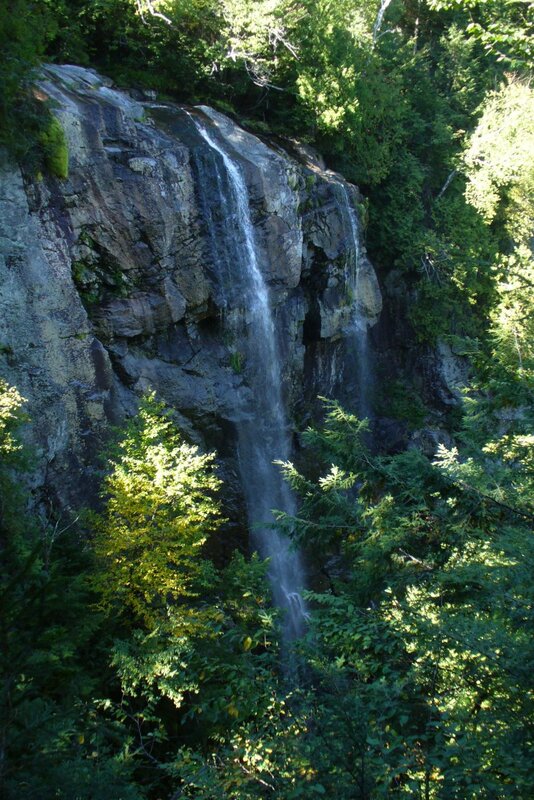 Rock faces, rock ledges, rock slides, mountains made of rock, waterfalls tumbling over rock. 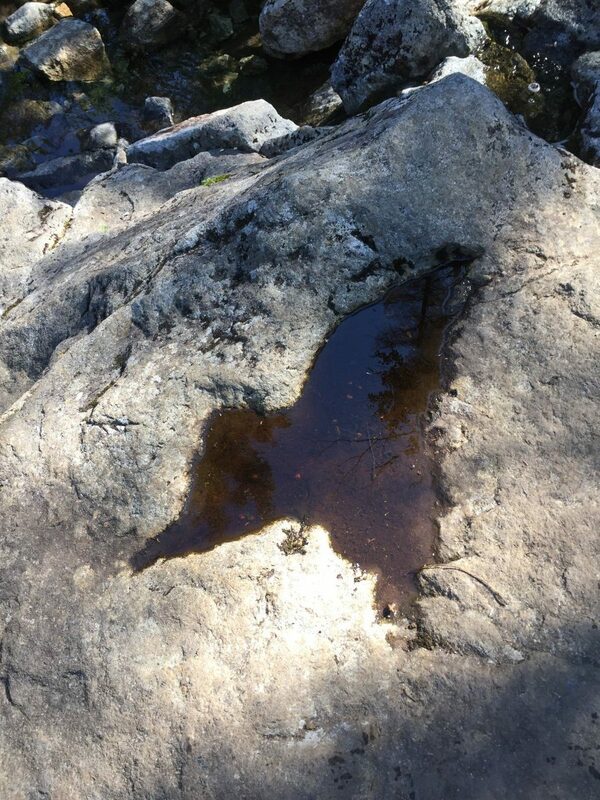 But mostly it seems trails littered with rock. You can’t swing a dead cat, or a live one for that matter, without hitting a rock. 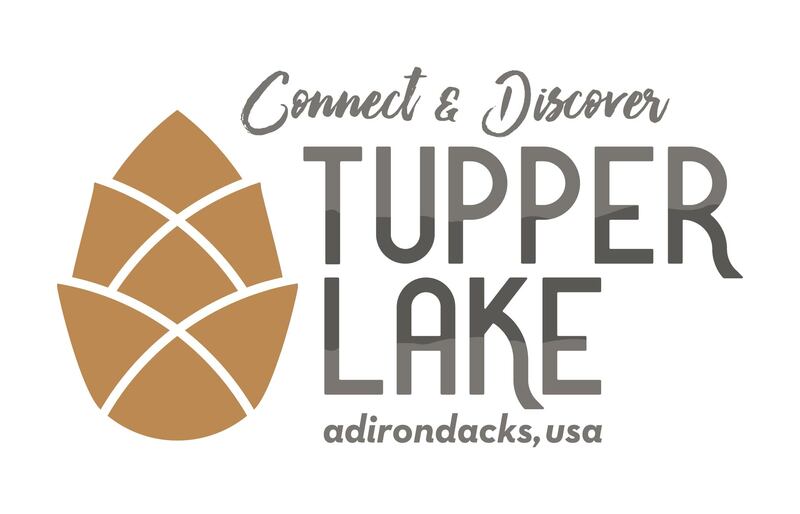 And these are only the ones we can see, just under the thin veneer of top soil lies the solid rock backbone of the Adirondacks. 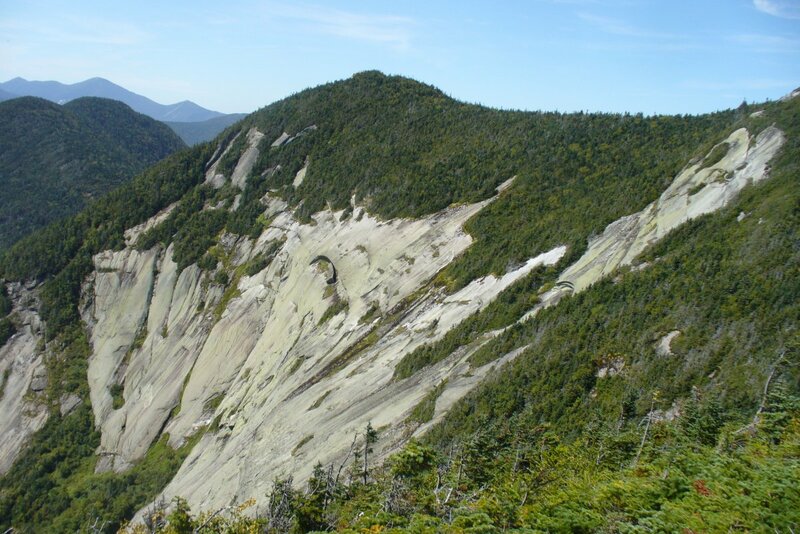 “New mountains from old rocks” is how the Adirondacks are now described by geologists. 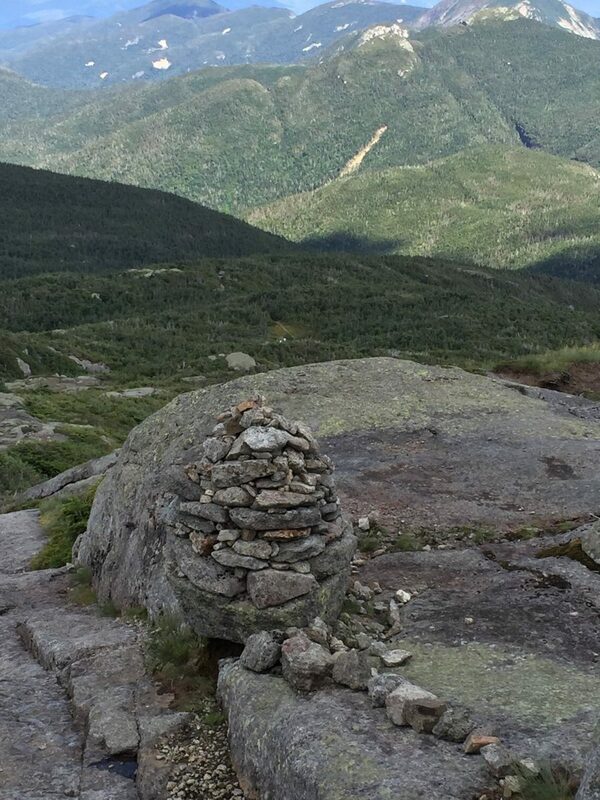 These rocks show the scars of their age. 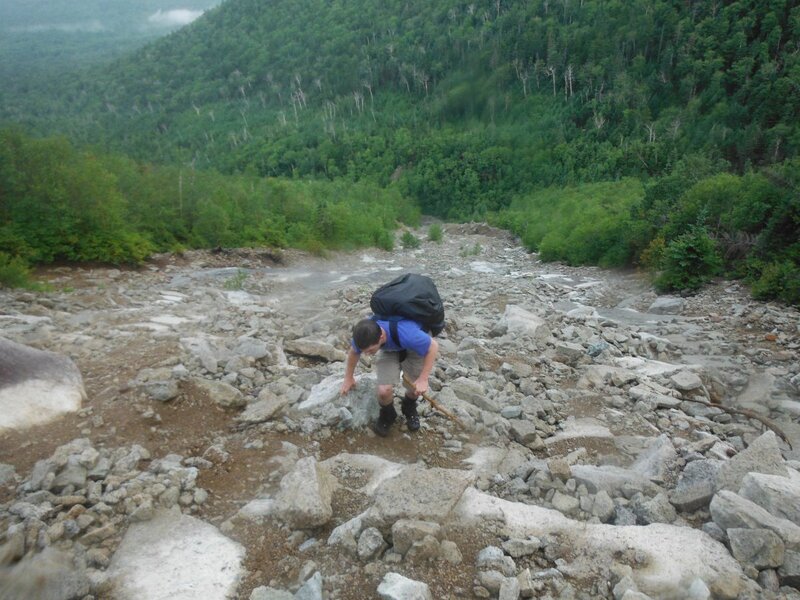 Imagine a time when a glacier so tall that even the top of Mt Marcy could not be seen. 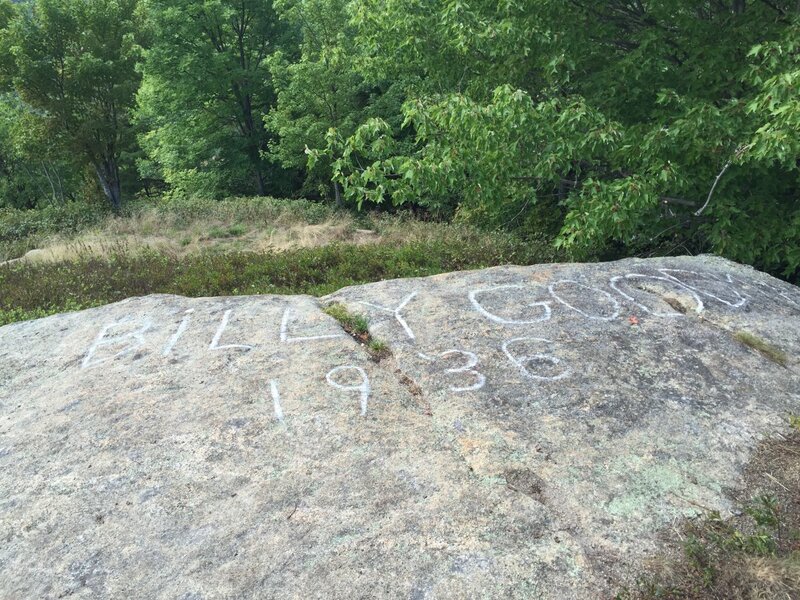 As these glaciers advanced and retreated they left their mark etched in the rock. 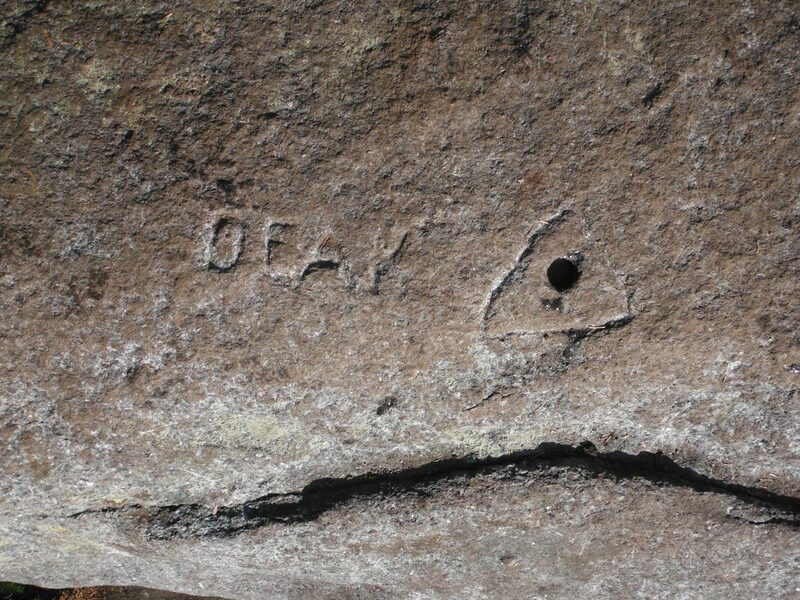 Even with the passing of time and erosion these marks still remain. 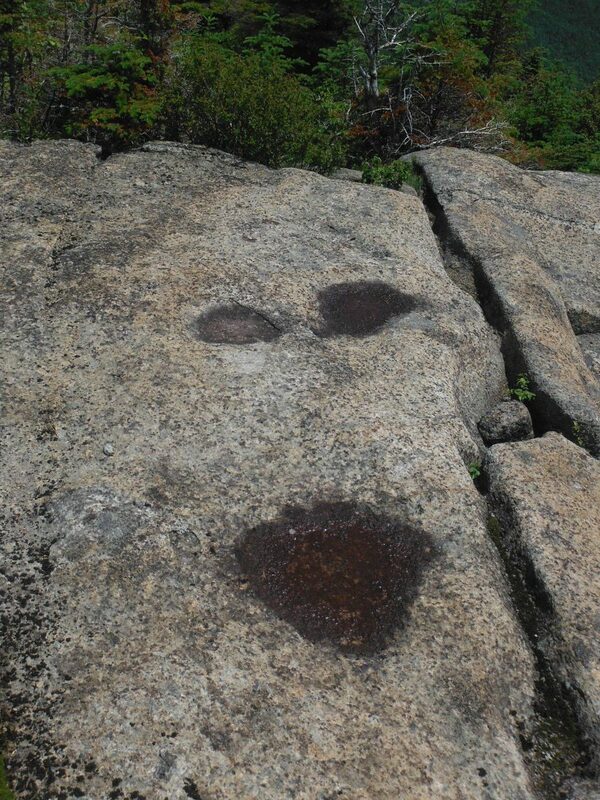 Add to this the marks that men have left in and on the rock; you can stumble upon some very interesting things when you keep your head down while walking through the park. 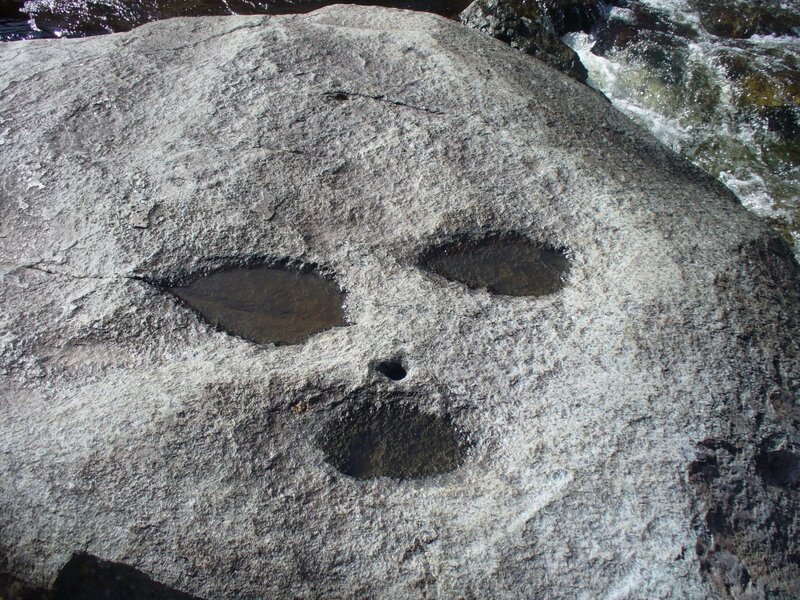 They can serve as a Rorshach Test etched in stone. I’ve seen some amazing images. Alien lifeforms, the state of New York, Edvard Munch’s Scream. Then there are man’s attempt at immortality. 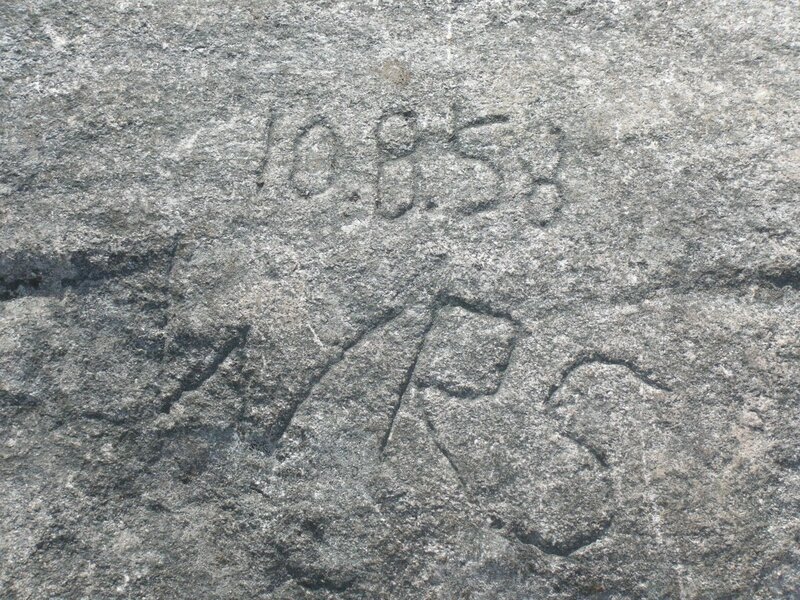 Maybe its initials and a date carved into the rock. 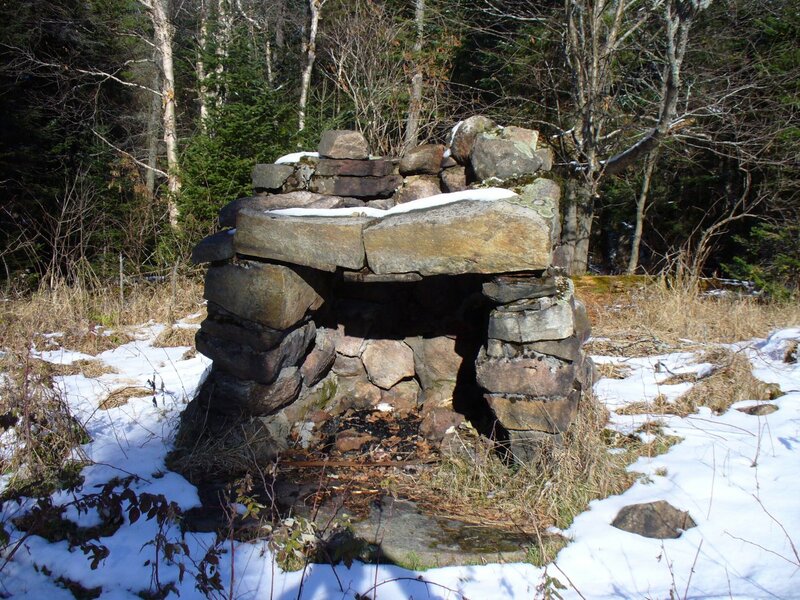 It could be stones stacked into now crumbling fountains or a fireplace found hidden by weeds and the rapidly encroaching forest. So if you are struggling with a problem go for a walk. Maybe if you are having trouble and… “Can’t see the forest for trees,” you just might be able to… “See the mountains for the rocks”.